The Advanced Optical Cleaning Kit was developed by Meller Optics, Inc. to help customers remove splatter and blow-back in the field from their CO2 lasers and extend their working life. 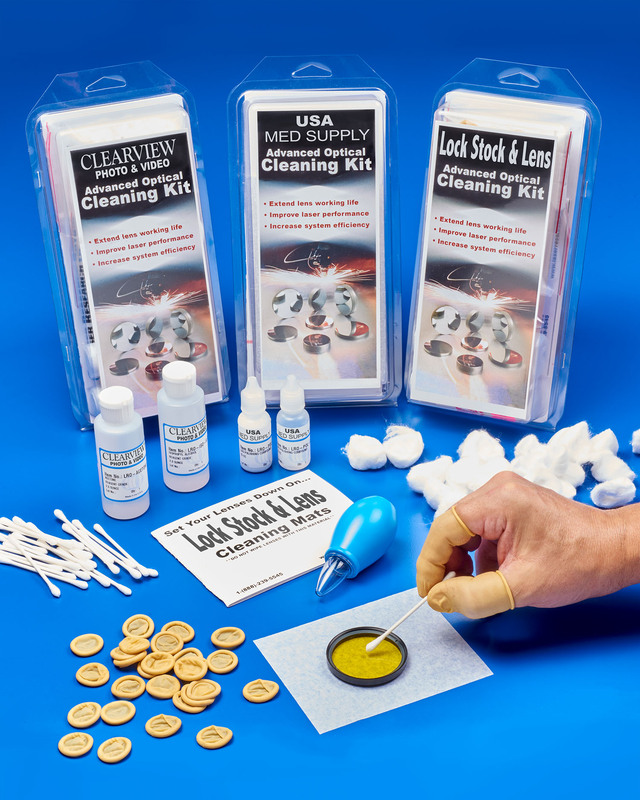 Featuring complete step-by-step instructions and everything necessary to prevent damage to coatings and help improve transmission, the kits are ideal for cleaning any type of lens. Private labeling includes the standard package and all contents.